You can have your glass-walled high rises and ergonomic standing desks; Katy Dickinson has the coolest office in San Jose. 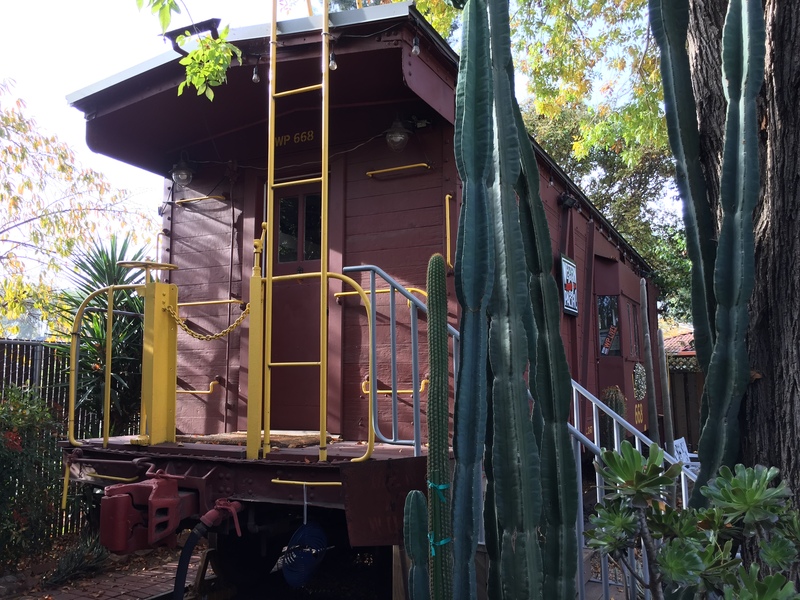 That’s because it’s a 1916 Western Pacific steel framed wooden caboose in the backyard of the Willow Glen home she shares with her husband, John Plocher. The couple purchased the caboose in 2006 from the Golden Gate Railroad Museum in San Francisco after it lost its lease. It was in storage in San Jose for more than a year until it was moved to their backyard in May 2007. The couple has been restoring the caboose bit by bit for more than a decade. Be sure to check out Katy and John’s website for more photos and the history of the caboose. The web page features the 2007 video by Sam Fineberg of WP668 moving into our backyard. WP668 is the office for my company, Mentoring Standard. Photos Copyright 2008-2017 by Katy Dickinson.